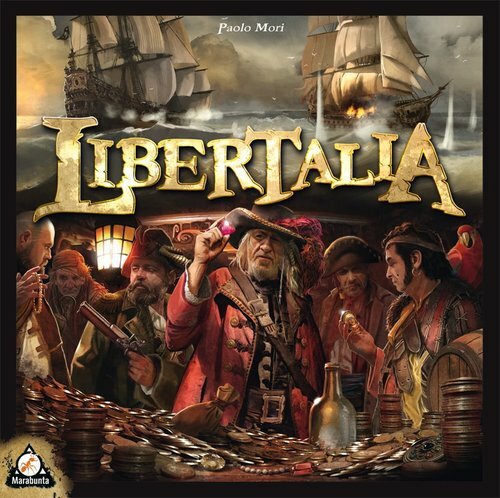 This Monday 13rd of May at Lunch time, Renaud (4153) will present two games of Paolo Mori : Libertalia and Augustus in the Committee Room. Captain Swallow has always dreamed of pocketing a large nest egg in order to retire on a remote island – but he never counted on stiff competition from Captains Stanley Rackum, Dirk Chivers and others, greedy and cruel enemies who always manage to attack the same ships as him. If he wants to finally sink back and enjoy peaceful days in the sun, he must become the most cunning pirate! In Libertalia, you must thwart the plans of competitive pirates over the course of three rounds while using cards that show the same crew members as your piratical comrades-in-arms. Yes, not only do they attack the same ships, but they employ the same type of ravenous scum that you do! Can you take advantage of the powers of your characters at the right time? Will you be outdone by a pirate smarter than you? Jump into the water and prove your tactical skills! After the assassination of Julius Caesar in 44 BC, his adopted son Gaius Octavius ​​decided to return to Rome. Through his political ambitions, he had built up a good reputation and in 27 BC he received the right to speak first in the Senate. Now, carrying the title of Augustus, he has been proclaimed Roman Emperor, with that Empire divided into provinces. 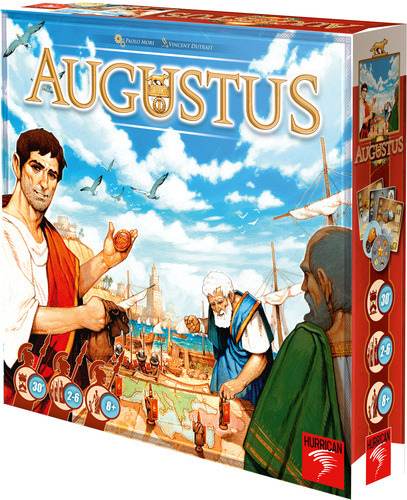 In Augustus, the players represent Augustus in the provinces and must build the provinces economically and politically, fulfilling objective cards in order to receive credit for doing this. Players draw mobilization tokens from a bag, and if these tokens are present on their objective cards, they can place a legion on a corresponding field shown on one of their target cards. Fill all of these fields with legions, and the objective card is complete, with the player receiving a bonus and drawing a new objective card. Whoever first completes seven objective cards becomes Consul at the side of Emperor Augustus, dispatching all other players to farthest provinces in the Empire where they must live on berries and drink river water. Please contact Renaud if you want to reserve a place in the game for you.